You’re the smartest one of your pals. You’re always thinking of creative solutions and tinkering with computers and assorted gadgets. 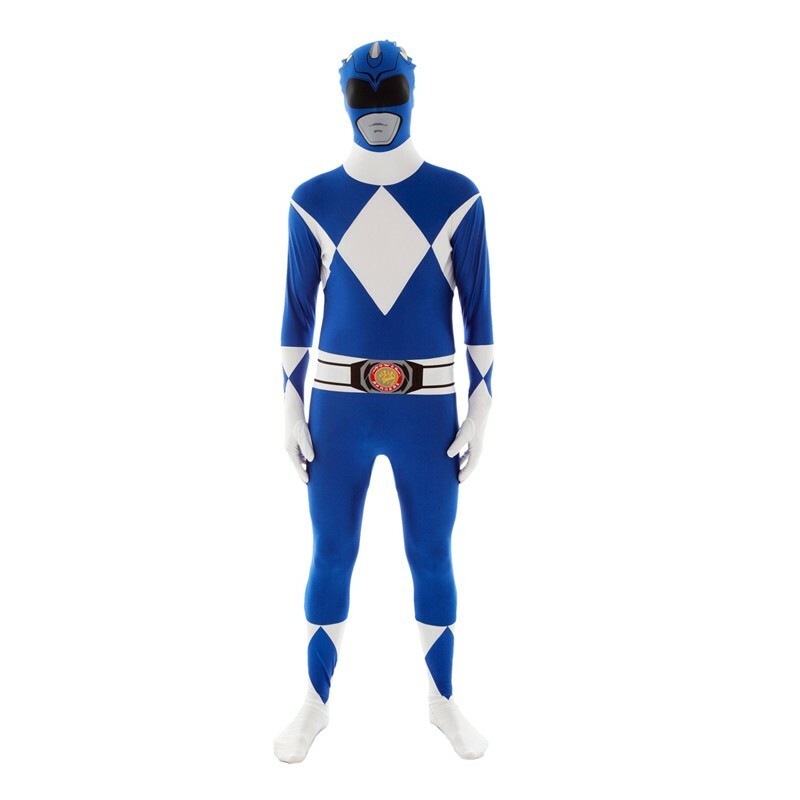 Here’s another great way to show off your mindful, intelligent, rational side: dress up as Billy Cranston, the original Blue Mighty Morphin Power Ranger! Now go grab your friends Jason Lee Scott, Kimberly Ann Hart, Zack Taylor, Trini Kwan, and if you really want, Tommy Oliver (though, on second thought, best leave it at just the original five) and relive with them one of the greatest parts of 90s culture in this original Power Rangers: Blue Ranger Morphsuit costume. Now you just need to brush up on your karate. But we’re not too concerned, because just like you, Billy Cranston never had a problem learning a new skill. You can even practice on the Foot Soldiers, or the Z-Putties that Rita Repulsa seems to send down a couple times a week. Based on our firm knowledge of original Power Rangers history--which is extensive--those guys are pretty easy to defeat (pro-tip, there’s a button in the middle of their chests that destroys them), so feel free to use them to brush-up on your high kicks, low punches, and uppercuts! And when Rita Repulsa finally launches her grand attack, you’ll be ready. You can use your Triceratops Dinozord and combine with the other Rangers to form Megazord. This full morphsuit, with its fully enclosed hands, feet, head, and back zipper, helps you use your sharp wits to keep your friends safe while defending the city from evil.